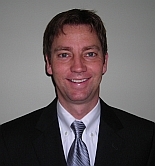 Daniel Corley has been a financial consultant with AXA Advisors, LLC, since 1998. Daniel provides his personal and corporate clients with insurance and investment services. Daniel enjoys developing long-term relationships with his clients by fully understanding their needs. Daniel is a valuable resource for his clients as he assists them in the accumulation and preservation of wealth. Originally from Chapel Hill, NC, Daniel attended Wake Forest University and graduated in 1989. Daniel has been awarded the title of Retirement Planning Specialist by AXA Advisors, based upon the successful receipt of a Certificate in Retirement Planning from the Wharton School of Business. Daniel is an active member within the East Chapel Hill Rotary Club and the Chapel Hill Chamber of Commerce. Daniel lives in Durham, NC, with his wife and son, Nancy and Caleb. Daniel is an avid college sports fan, and enjoys fishing throughout the year.